Two days after one-year-old Whitacker Harris fell into his family’s backyard pool and nearly drowned, he sat up on his hospital bed and smiled. 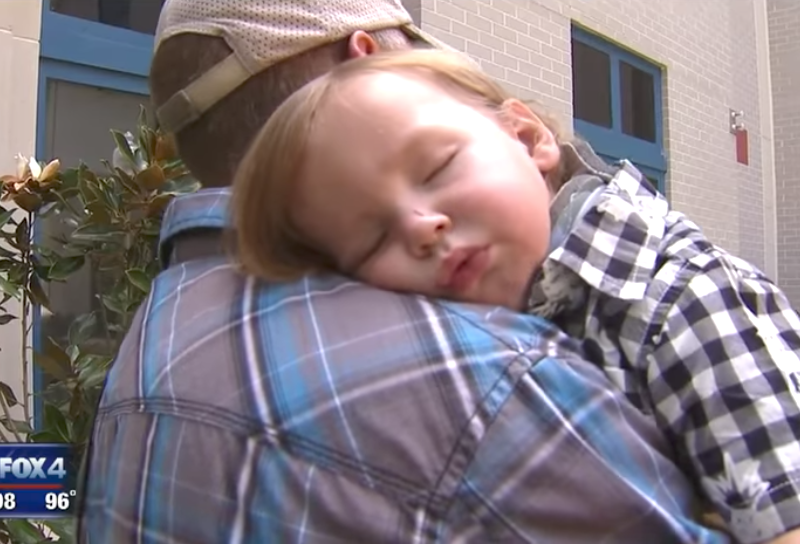 Doctors are utterly astounded by this toddler’s incredible turnaround. By all medical accounts, Whitacker should have died. In what doctors are describing as nothing other than “a miracle,” God intervened to restore this young child’s life. Today, Whitacker’s story serves both as a cautionary tale and a source of inspiration. It was Whitacker Harris’s first birthday, and nobody was more excited than Whitacker himself. Appreciating his newfound ability to walk, he tagged along behind his family’s adventurous pup – even when the pup pushed open the back door. With complete access to the backyard and no adult supervision, Whitacker plunged to the depths of the family’s pool. Unable to swim, he nearly died before being rescued. His mother and grandfather did all they could to administer CPR until paramedics arrived. The one-year-old was immediately transported to Cook Children’s Medical Center. Upon arrival, doctors honestly informed the frantic parents that the young boys chances of survival were slim. But that didn’t stop doctors from trying to resuscitate him. According to Whitacker’s mother Nickie, “Doctors were honest, but still amazing and helpful and went above and beyond.” They didn’t give the Harris’s false hope, but instead worked diligently around the clock to give the boy a fighting chance at life. And God blessed their efforts. Not only did Whitacker survive, he is back to his adventurous, healthy self. Whitacker’s parents have joined the awareness campaign, spreading the word about the bizarre occurrence of a dog granting a child unsupervised access to a backyard pool. It may sound like a unique circumstance, but many families have the same hazardous triad: a pool, a dog, and a toddler. “[Don’t be] naive because it can happen to anybody. And it did in just a matter of seconds.” The Harris’s weren’t being particularly negligent, yet bad things can still happen to highly-mobile toddlers. Jarred went on to explain, “When you see things [Whitacker] does afterward [it shows] how God really is and how thankful you can be.” Well said, Jarred. Let’s say a collective “hallelujah” for the incredible acts of healing God performs still today. And let’s keep other families going through similar situations in our prayers.